HOUSTON – (Realty News Report) – Texas Medical Center is the largest medical complex in the world. Some 180,000 surgeries are performed there annually. Every 20 minutes, a baby is delivered. Long a pillar of Houston’s economy, the TMC not only is home to some of the brightest minds in medicine, but also to $3 billion in construction and more than 106,000 employees. TMC projects encompass 50 million developed square feet of space and the Center now is embarking on TMC3. To find out more about the activities at the TMC – particularly with the 30-acre translational research campus – Realty News Report talked with Abbey Roberson, Vice President of Planning, Texas Medical Center. 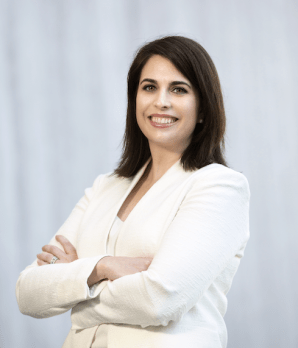 Abbey joined the Texas Medical Center in 2016 as vice president of planning, focusing primarily on design and development plans for TMC3and identifying opportunities for enhancing the TMC campus. Prior to joining the TMC team, Roberson spent 12 years at HOK in Atlanta, Washington, D.C., and Houston, where she led a planning and landscape architecture team. She is chair of the Houston District Council of the Urban Land Institute and volunteers extensively with the Junior League of Houston. Roberson earned a Master of City and Regional Planning from Georgia Institute of Technology and a Bachelor of Environmental Design from Texas A&M University. Realty News Report: For the newcomer to Houston, please tell us the basics of what TMC3 will be and how it will change the Texas Medical Center. Abbey Roberson: TMC3 is a 30-acre translational research campus that will bring together scientists, clinicians and industry partners together in more than 1 million square feet of research space with the single focus of translating medical discoveries into commercial solutions.TMC3 establishes a dynamic hub in the center of the expanding TMC ecosystem, which has a campus of more than 1,300 acres and is one of the country’s largest business districts. The project will foster opportunities for collaboration. The design of TMC3 will physically knit together multiple institutions, and its location will be a bridge connecting the northern part of campus, which focuses on clinical care, with the southern part of campus, where a great deal of research takes place. Beyond the research functions, the mix of uses on the TMC3 property will support the development itself, the existing TMC campus, and the surrounding neighborhood as well as the broader Houston community. Realty News Report: Everybody wonders about the double-helix feature of the campus. How did this concept develop and what will it look like? Abbey Roberson: While I was not with TMC at the time, I do know the concept of the double-helix evolved out of the iterative design process during the initial master planning phase of the project. The shape clearly has meaning for life sciences but also provides the campus with a unique central focal point that undulates – both horizontally and vertically – as it spans the entire length of the TMC3 site. The building form creates spaces for collaboration as well as a variety of open spaces. We believe the helix – which visitors will be able to see from the sky as they fly into Houston – will become an iconic image associated not just with the Texas Medical Center but with Houston as a whole. The base floor of the helix will contain plazas featuring restaurants, commercial, retail and entertainment space. The goal is to make this a place that’s activated day and night. The top level will have a world-class park designed by landscape James Corner, who also designed the famed High Line in New York City. Rising 60 feet above ground level, Helix Park will contain trails, gardens, green space and more. Houston, like other cities across the country, is experiencing a parks renaissance. We know it’s critically important to develop parks and green space if we want to continue attracting the world’s top talent. Realty News Report: We’ve heard that restrictions have been relaxed to allow non-institutional, private sector development, such as hotels, multifamily or retail around the TMC3 campus. Can you explain the thinking on this? Abbey Roberson: Much of the land at TMC is governed by a set of covenants that allow only non-profit entities that support health, education and research to use the covenant lands. While these restrictions allow the institutions to focus their investments on their programs and physical assets, they do limit certain for-profit organizations from the TMC campus. TMC leadership and the TMC Board of Directors saw an opportunity to amend the covenants on two properties with the specific focus on expanding opportunities for the private sector to co-locate with researchers on the TMC campus. These include the future TMC3 site and the John P. McGovern Campus located off Almeda (the former Nabisco cookie factory), where TMC and its member institutions are supporting the growing life sciences ecosystem through collaboration with the private sector. To date, Johnson & Johnson has two significant investments at TMC – JLABS, a life sciences accelerator, and the Center for Device Innovation, a maker-space for medical devices. TMC3 will further propel the focus on supporting translational research as additional private sector partners join the TMC community. Realty News Report: The Texas Medical Center has become the largest medical center in the world. What was done correctly by the original planners and what could have been done better? Abbey Roberson: TMC is truly a special place that has no comparable precedent of its scale and composition elsewhere in the world. The campus has evolved incrementally over time which has allowed TMC to support the expanding needs of the member institutions, as they too have grown over the past 90+ years. Increasingly, we describe ourselves as a medical “city.” Part of the reason we do that is because of our immense size and population — more than 100,000 people work here. But it also reflects the fact that we do a lot of things that cities do: provide amenities like parks, coordinate new and expanding transportation options, create spaces where people can come together, and develop infrastructure that keeps people and facilities safe. Regarding that last point, I value TMC leadership’s commitment to invest in the key infrastructure of the campus. Our roads, utilities and flood protection systems are critical assets that allow our member institutions to serve patients and research facilities 24 hours per day, 7 days a week, 365 days a year. Without significant investment in these assets over the years, we wouldn’t be able to support the growing demand at TMC. We saw the value of those investments pay off during Hurricane Harvey. We all remember when Tropical Storm Allison crippled the TMC in 2001. That didn’t happen when Harvey hit Houston 16 years later. Thanks to infrastructure upgrades and investments totaling more than $50 million, the Texas Medical Center remained fully operational during the entire storm. All of our hospitals remained opened, and selfless employees were able to continue to serve patients throughout the storm. Hindsight is always 20-20 and I find it hard to criticize any past planning; however, if I could go back in time, I would challenge my early predecessors to think far beyond the scale and density that they likely assumed would be TMC in the 21st century. I have no doubt they might have looked at things differently had they known the campus would grow to more than 50 million square feet of development in 2018. Realty News Report: Some $3 billion in new construction is underway in the Texas Medical Center. Why is this happening? Abbey Roberson: TMC member institutions are some of the largest, most well-respected and cutting-edge organizations on the planet. Each entity – no matter their specialty and individual focus – is committed to the mission of the Texas Medical Center: advancing health, education and research. The $3 billion under construction represents a significant investment in the physical infrastructure needed to advance human health and support critical research. This growth is important to TMC, but more important, to humankind, as employees and researchers are curing diseases and easing suffering of their patients. Realty News Report: What are some of the problems and solutions that will arise as the Texas Medical Center continues to grow? Abbey Roberson: The construction underway and planned growth at TMC is very exciting, and the increasing density of the campus as a whole does present both opportunities and challenges as we continue to evolve. I think the biggest opportunity is the continued expansion of the multi-modal transportation options for our employees and visitors. With more than 100,000 employees coming here every day — not to mention patients, students and other visitors — TMC must look for a holistic approach to get people to and from our campus every day. Aligning all aspects of our transportation system from light rail to buses and shuttles to pedestrians and bicyclists is critical to accommodating growth long term. We are collaborating each and every day with our own member institutions, Houston Metro, TxDOT, the City of Houston and many more to address our mobility infrastructure. Realty News Report: You were recently named chair of ULI Houston. What does the city need to do to address big issues, such as flooding and transportation? Abbey Roberson: I believe the key to big issues is big thinking – a broad, long-term view is essential. We need to have a collective focus on collaboration to find solutions that push the envelope. As a growing region, we have to think not only about transportation and flooding challenges, but other issues including affordable housing, fostering a diversified economy and resiliency come to mind. I certainly do not have all of the answers, but I do know that Houston is home to many of the brightest minds and when we come together, we can do anything.